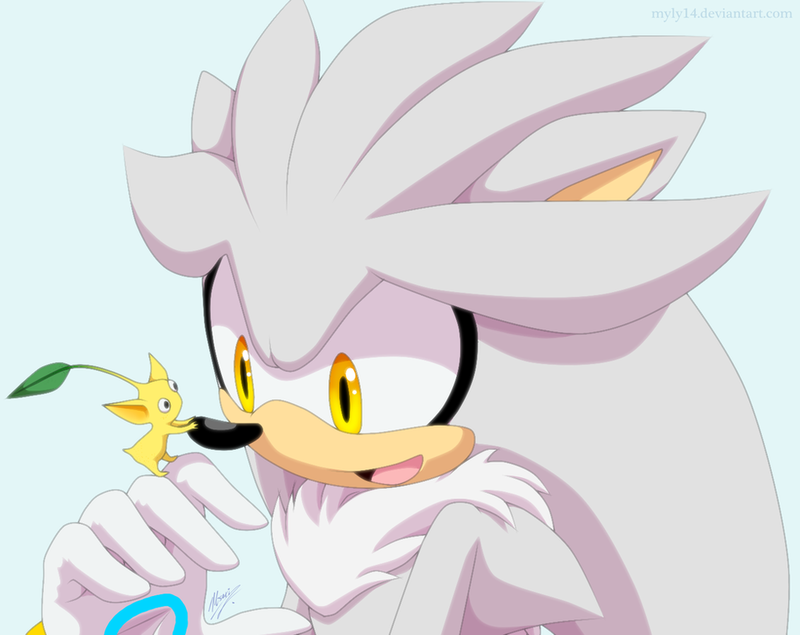 Silver and his Pikmin. CROSSOVER!!! xD. HD Wallpaper and background images in the Silver the Hedgehog club tagged: silver the hedgehog pikmin yellow cute. 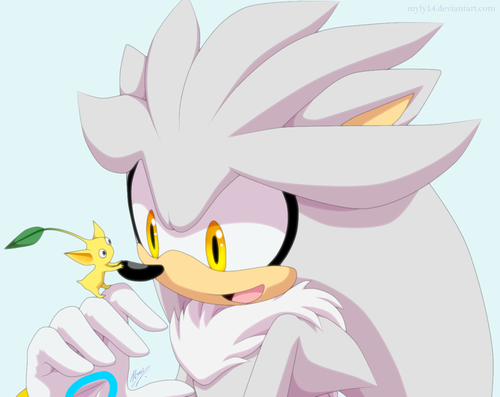 This Silver the Hedgehog photo might contain নকল মানুষের, কমিক বই, কমিকস, and কার্টুন.